Conformal coatings form a protective barrier over electronic assembles to protect them against moisture, dust, chemicals, contaminants, salt, fungus, and temperature extremes. At PCT, we visually inspect each and every assembly to be coated. Our responsible personnel adhere to ESD precautions at all times to be performed in accordance with IPC-J-STD-001. All assemblies are properly handled, thoroughly inspected and tracked through a fully documented production process. A 100% visual inspection is performed and coating thickness is measured to ensure and maintain the highest quality possible. We are an ISO 9001:2008 and ITAR certified manufacturer service provider specializing in the application of Parylene, Acrylic, Polyurethane, Silicone, and Epoxy conformal coatings. 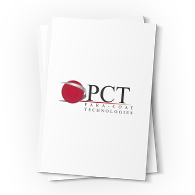 PCT is proud to announce that we now offer electronic manufacturing services. If you need us to do a single piece prototype or mass production, we are here to serve you.